After woefully neglecting the Dux finds for a few years, I decided it was time for a resuscitation rally. With the help of my partner-in-crime, my brother’s sander, and a lot of patience, I slowly witnessed their rebirth. While waiting for stain layers to dry, I dug deeper into the history of the chairs and discovered they were designed by a gentleman named Folke Ohlsson who worked on these chairs in nearby Burlingame during the late 50’s. 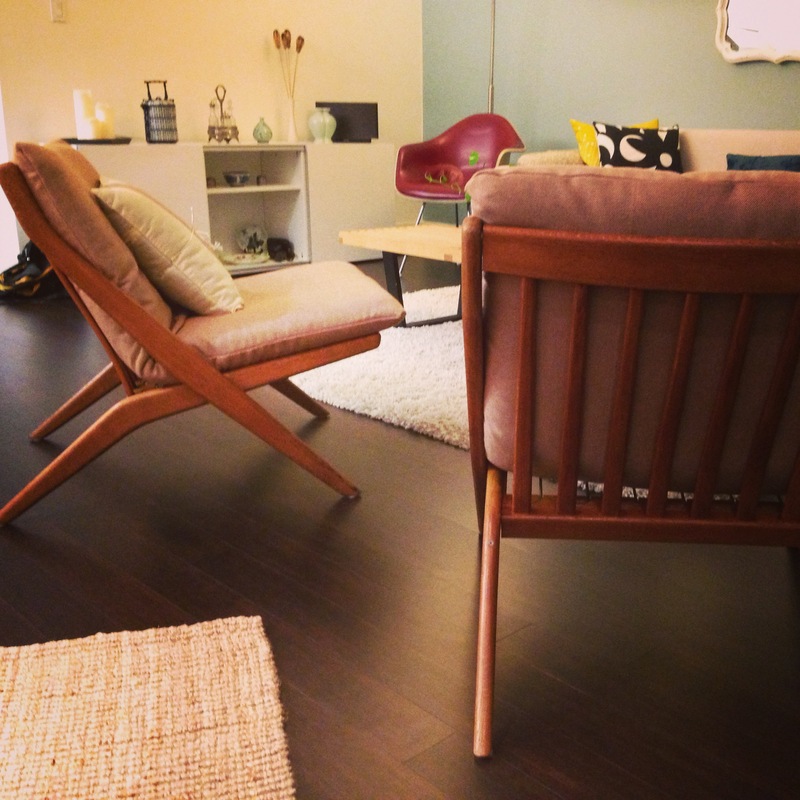 Further Web research revealed an eBay forum in which the designer’s son responded to the asker’s post about the very same chairs! So here is the “after” shot of my chairs to accompany the great story behind the designer. I’m inspired! I need to finish my Swedish chair, which I sanded about 6 months ago! Did you use a wax or polish or anything to add color? I used tung oil to give it a stain to make it look refreshed. I didn’t want to change the color or darken too much. After the stain dried for a few days, I used a polyurethane sealer to protect it. Go finish your chair! It’ll be so rewarding!